Anyone can be WLA member! You don’t have to work in a library, serve on a library board, or be a part of a Friends of the Library organization. You only need to be interested in libraries and in the goals of WLA. Washington’s citizens rely upon libraries to further their education, enhance their skills in the workplace, fully function in today’s global society, and enrich their daily lives. 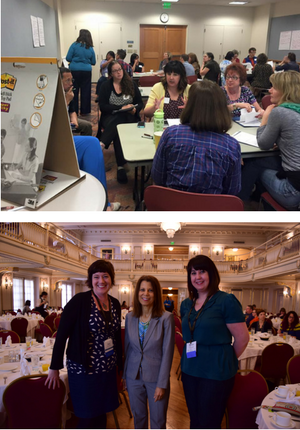 The Washington Library Association, with a membership of over 1,300 individuals and 48 organizations, provides the leadership and support needed to develop, improve, and promote library services to all Washington residents. Interested in joining WLA as an individual? We have memberships available for every kind of library employee, supporter, or enthusiast! Learn more about the types of membership and the benefit of joining WLA as an Individual member here! Interested in your library, organization, or other group joining WLA as an Organizational member? Learn more about the benefits of Organizational Membership here!